Baum-Kuchen: Because options for Traveler's Notebook are awesome! Because options for Traveler's Notebook are awesome! When we put our head together with Diana and Wes of 1.61 Soft Goods to come up with Baum-kuchen original leather inserts, we were hoping for making the notebook even more functional while keeping the tactile experience to be just as amazing as the Traveler's Notebook leather cover itself. 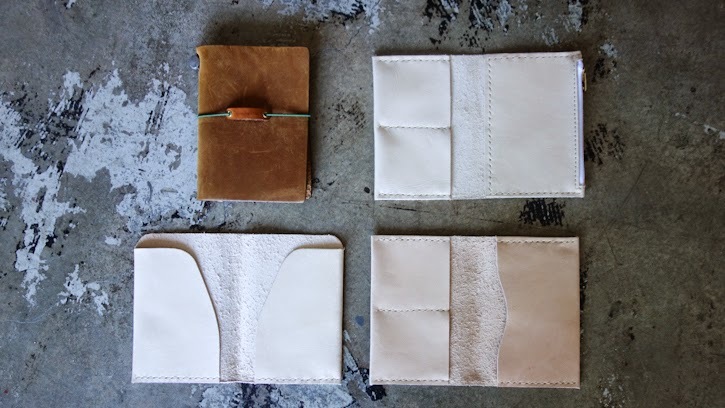 I am excited to share [Essential], [Pocket] and [Portfolio] leather inserts to customize the Passport Size Traveler's Notebook so that your Traveler's Notebook can be perfectly suited for you and your life! Treasure hunting at Hamburg flea market! Sunny day... a beach day. Our German side of the family!